Listeners are the cool kids on the block. They are the ones who excel in society, at work, in the classroom and in relationships. Everyone loves a good listener. Now, you’ve committed your team to being better listeners or help your clients be better listeners. Your brand or business is ready to be a listening-first organization. The people that matter-- your customers, clients, fans, followers, patients or subscribers-- want to be heard. You’re going to be the one to hear them, thanks to social listening. Social listening is transforming the marketing process, and you’re on board. You’ve looked at a tool, like Infegy Atlas, and now you need to go the next level. You may be investing in a social listening platform, but we’ll be the first to tell you that you need more resources if you want to be a top-tier social listener. Google Alerts is like the listening starter kit. It’s the most basic, and easy knowledge bank for you to help you keep tabs on your brand, your industry, customer trends and your competitors. This is the simplest form of listening your team can do, but it’s important. You need to know when there is an urgent situation or crisis within your industry or even at your company. You need to know when you are mentioned by big name influencers and publications. You need to know when your competitors make an announcement about a new product, service or campaign. Armed with this knowledge, you can see how the community reacts, what people have to say and what kinds of people are passionate or interested in that alert or update. For example, if you are a quick service restaurant and Taco Bell announces an egg-shell taco, Google Alerts will be the first to know and pass it along to you. Now you can use your social listening tool to monitor the online community of conversations to see the reaction in real-time. To set up Google Alerts, go the home page, type a keyword or phrase you want to be updated on (like “Taco Bell” for the previous example) and lickity split you’ve got updates straight to your inbox. You may be surprised to learn that your brand or agency does not have to be on social or offer it as a service to leverage social media listening as a powerful marketing asset. (In fact, you can check out this article: 25 Questions Social Listening Can Help Answer to see the many capabilities). However, if you want to be a social listening power user to make a big splash on your marketing strategies, social networks can be a great asset, especially for the incredible targeting and research capabilities the channels offer. If you haven’t and want to, pick a platform to be your first and stick with one at the beginning. Focus on growing a following there. If you’re able to amass a strong following of people within your audience target, you can get insights into who your potential customers are, what their demographics and interests are, and what it is about your product or service they’re passionate about. Collect this information and use it within your social listening to better understand your audience and customers. Each of the channels have great social media analytics and metrics platforms built in. All of them have a section dedicated to audience analysis. Here is a great guide to Facebook Analytics. You can take social media marketing channels a step further by connecting them to publishing and scheduling companies like Hootsuite and Buffer. In addition to being publishing tools, they offer real-time analytics and metrics on your social content’s performance. Social media monitoring tools will help you track your owned channel performance. A social listening tool will help you dig deeper with monitoring and, more importantly, understand your marketing efforts. This will enables you to plan, strategize, and ideate for future tactics. Use social listening tools in conjunction with monitoring to get the most out of both. What’s the difference between social listening and social monitoring? Find out here. If Twitter is your chosen platform, Followerwonk is a great resource to utilize. 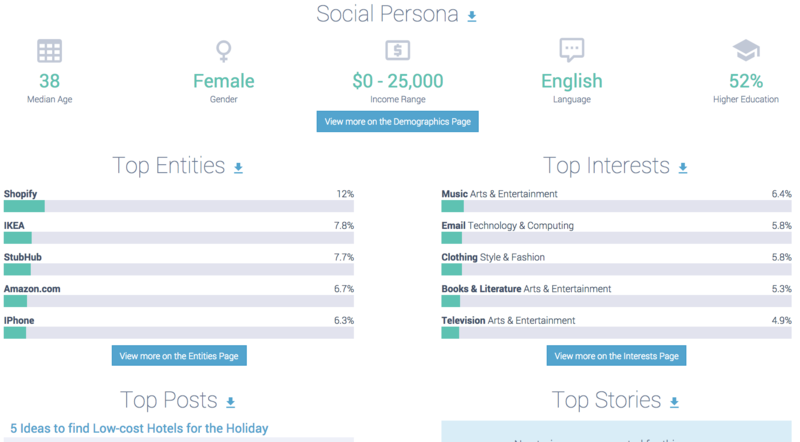 Built by SEO wizard-company, Moz, Follwerwonk provides some key insights about your following. These details include: who follows you, who you should follow, demographics of followers and potential followers, when these followers are online, who your competitors’ followers are, and even who has followed or unfollowed you recently. The search function allows you to browse by things like job title or function, location, persona types and interests, among other things. Here is a great guide to using Followerwonk in your strategy. If you’re working so hard to be found for keywords online-- and/or paying Google a ton to show up in searches for those keywords-- certainly these are terms that matter to your business. You should absolutely be focusing your listening on those terms too. For the keywords you’re already targeting in your search engine marketing, use these terms and phrases within your social listening. If you’re trying to show up in searches for “high-tech kitchen appliances” maybe social listening research should incorporate kitchen appliances and technology. Furthermore, use SEO tools such as SEMRush to research new keywords, discover competitor keywords and find out more important terms to implement in your social listening strategy. 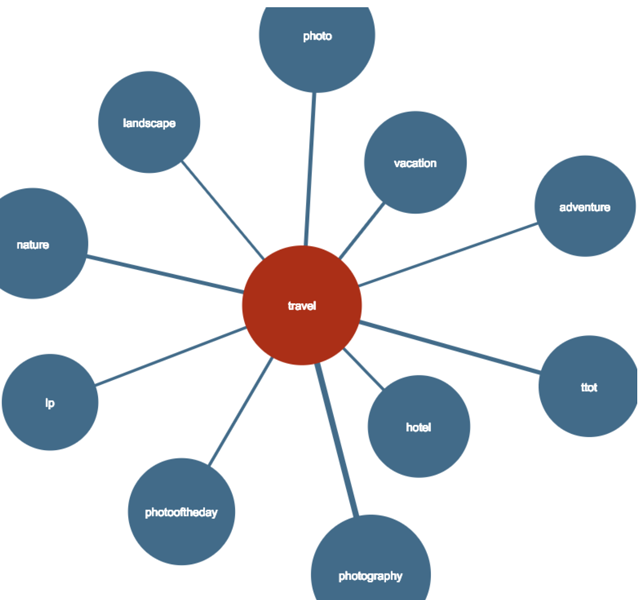 Hashtagify is like a keyword search using social channel data. This is a great resource to see what the most dominant topics are within the relevant words and phrases to your company. Hashtagify is pretty robust and can help diagram what people are most interested in talking about online (remember: they’re talking and you’re listening). Go to Hashtagify’s homepage, type in the word or term that’s important to you and wa-la, you have high ranking related hashtags! For example, a hotel brand can clearly see that people are really interested in photography when using the hashtag “#travel”. Now, take this knowledge to your listening tool and dive deeper into topics around travel and hospitality within the context of photography to see what will make people the most interested in your brand or business. To dive deeper on consumer insights, Google Analytics can work wonders when it comes to data about your visitors, users and fans. No marketer or advertiser should go without Google’s analytics platform because it gives you such accurate intel on who’s visiting your site and how they got there. GA is a perfect asset alongside a listening tool to help you build buyer personas and analyze your customers and potential customers. We have an overview of using Google Analytics and other innovative measures to help you better understand your customers which you can read here. As you’re conducting social listening research, you need a way to monitor, document and present your analytics and reports. Thankfully, there’s a platform for you to help you visually present your reporting in a flexible, easy to use platform: Infegy Canvas. 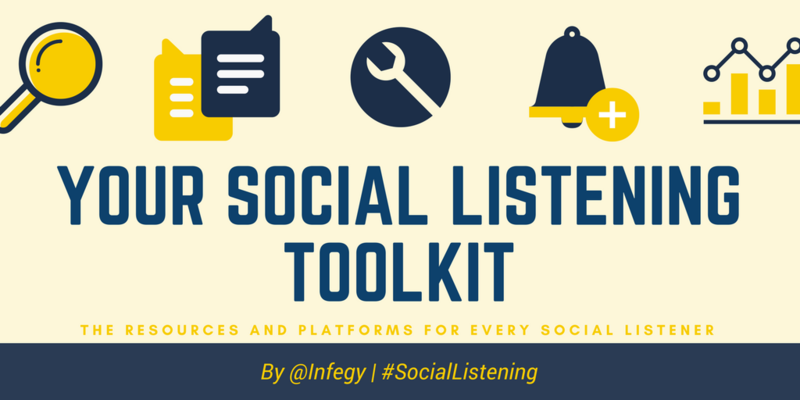 Alright, you’ve got your list of tools and resources to make you a better social listener. The best part is, most of them are free (or at least have a free service). With these additional items, you have a fully loaded system to help your team better understand audiences, customers and competitors. Go forth and listen up!